Fullers Earth Cream with kaolin and zinc oxide soothes and protects the skin. Fullers Earth is an old traditional remedy noted for its ability to absorb impurities making it ideal for face masks and acne. 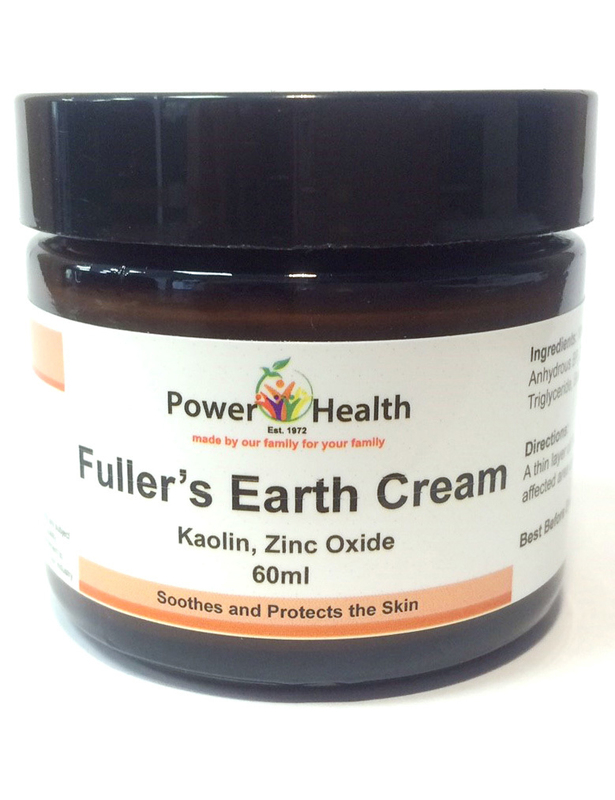 Fullers Earth Cream is a great barrier cream and is commonly used to treat nappy rash. White Soft Paraffin BP, Kaolin, Lanolin, Anhydrous BP, Zinc Oxide BP, Liquid Paraffin, Caprylic/Capric Triglyceride, Bentonite. A thin layer of Fullers Earth Cream should be applied to the affected area of skin as required.